Lorena Rivera León is a Belgian-Mexican economist and PhD research fellow at UNU-MERIT. She received her MA jointly from the Department of Economics, University of British Columbia, Canada and the Université Pierre-Mendès-France. Her research interests concern the study of the economics of science in middle-income-countries (MICs), and she is particularly interested in understanding the determinants of gender productivity gaps in science. She works with Professor Jacques Mairesse and Professor Robin Cowan in the development of an econometric framework to understand the determinants of gender productivity gaps in South Africa and Mexico, as well as in quantifying the economic costs of such gaps. She is part of the research team consulting the Inter-American Development Bank in understanding the Economic Costs on Science, Technology and Innovation Gender Gaps in Latin America and the Caribbean. Lorena has worked as a Research Assistant in the Department of Media and Communications, London School of Economics and Political Science; the United Nations Industrial Development Organisation in Vienna; and the European Commission (Information Society and Media Directorate General). Lorena has 10 years of professional experience working as a researcher and consultant on research and innovation policy issues. She has worked as a consultant for international organisations including UNESCO, the OECD, the Inter-American Development Bank and the World Intellectual Property Organization (WIPO). She has been involved in numerous European Union-funded projects including the Innovation Union Scoreboard between 2011 and 2015. 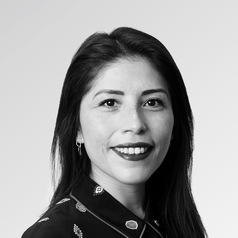 Between 2010 and 2015, Lorena was the country expert for Mexico in ERAWATCH International, the European Commission's information platform on research systems and policies. Mrs Rivera León held a research grant from the Mexican National Council for Science and Technology (CONACYT) between 2011 and 2015.